I made my written submission to this APPG Inquiry on 30 October 2015 just to get a few suggestions for better quality new homes on the table for discussion. 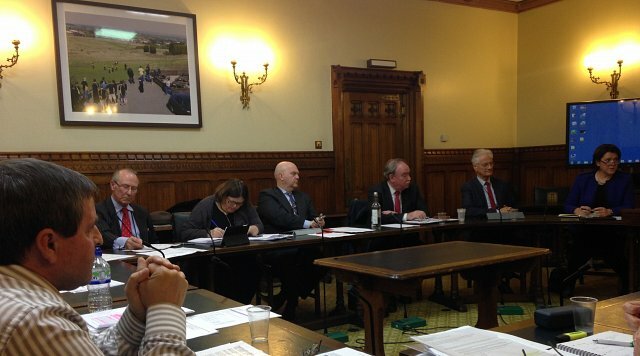 I never anticipated being invited to make a presentation to the APPG Inquiry committee in the Houses of Parliament. My initial reaction was to wimp-out as public speaking to a room full of strangers is a distinct weakness of mine. But after being filmed and interviewed for the Channel 4 Dispatches documentary “Britain’s Nightmare New Homes” a couple of weeks earlier, I felt perhaps I could push on through with my newly discovered confidence. After further encouragement from my partner Ellen and members of my Unhappy New Home Buyers Facebook Group – I was going! Indeed I would like to thank both Terry and Janet who kindly made donations to cover my travelling expenses. I was astonished to discover that ordinary UK citizens giving their time, expertise and experience freely are expected to pay their travelling costs to attend a parliamentary inquiry; whilst the APPG MPs on the committee are able to reclaim their travelling and most other expenses – with one found to be fraudulently fiddling expenses during the last parliament! In the days leading up to the session, I carefully prepared what I needed to say, an expansion of my brief written submission. It occurred to me a bit odd that the APPG can use the word “Excellence”, when the best most new home buyers can hope for is “Not Bad” with “Pretty Good” not even being on their expectation radar. Excellence in house building? Most buyers would be happy with a home that fully complies with Building Regulations and warranty standards and is 100% finished when they move in! The day arrives, with my folder prepared, with labelled and tagged pages all in the right order and a nice succinct introduction I head to the train station. Just 20 minutes into my journey, I am informed that the start has been pushed back to 5pm. On arrival at London Victoria, I realise that I now had three hours to kill, although some time would be taken up with security checks etc. A free coffee at a Little Waitrose warmed me up albeit temporarily. 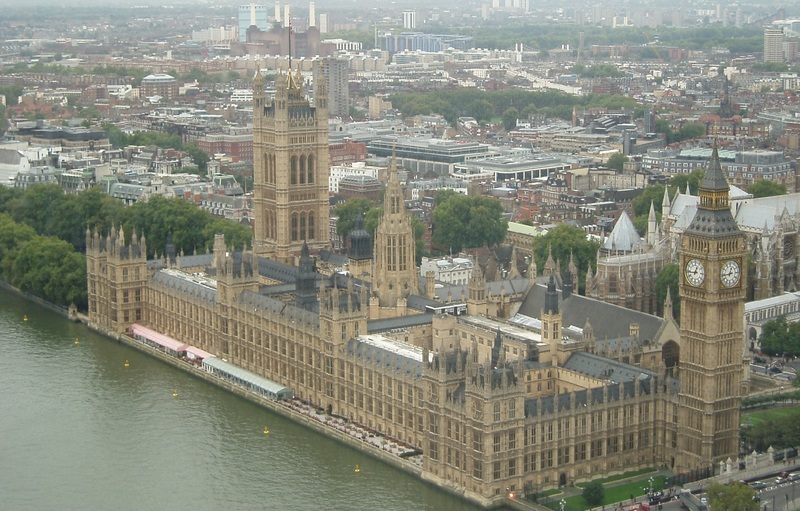 I asked a policeman at the Houses of Parliament for directions to the entrance I needed, showing him my map and e mail. The abrupt and unhelpful policeman firmly said I “could not be in here” and unceremoniously shoved me back towards a gap in the wall, indicating the public’s entrance was 100 yards to the right. (Metropolitan Police Commissioner informed and apology received!) And they wonder why they are referred to as plebs! So after being asked (tongue-in-cheek) by another much more pleasant policeman if I had any guns, knives, daggers, utility knives and basically anything else that had the potential to puncture the skin, I join the long queue to the airport-style security check. At least I was able to keep my shoes on! Finally I’m in, deep in the bowels of power, like a small insignificant virus with the potential to infect and multiply. It is my intention to impact a change in the balance of power from housebuilders to housebuyers. The first speaker, Chris Cousins from the Building Research Establishment hogged the limelight for far too long! Yes, I anticipated the BRE banging on about their new BRE Home Quality Mark, which has nothing whatsoever to do with the quality of workmanship in new build homes, being centred on well-being, energy performance, resilience to flooding, size of rooms, natural light etc. The second speaker, a solicitor was also given the opportunity to speak freely at length. He was concerned about the lack of legal protection new homebuyers currently have, with particular reference to the contract of sale. He called for greater protection and clarity at both reservation and exchange of contracts. He also said that those buying new homes should have a legal right to inspect, or have their home professionally inspected before legal completion. I had originally been scheduled to give the penultimate presentation but I ended up being last. Whilst I had the advantage that at least the Chair, Oliver Colvile had yet again returned to the room by then and (I hope) listened to what I said, he cut me short after around 4 minutes, despite my protestations that I had more to say! Apparently, the time allotted for the presentations had expired. A tense hour has slipped by and I got just four minutes. Colvile then permanently left the meeting with ‘vice chair’ Nick Raynsford taking over. After our presentations, each member of the committee was able to ask us just one question. After each question I was forced to interrupt at the end and say “I would like to say something on this” and was reluctantly given time for a two-sentence response – often to correct previous replies! This continued as each member asked their question with Nick Raynsford apparently giving the impression he was doing everything he could to ensure I did not have the opportunity to speak, perhaps to prevent me from saying anything further against the house building industry! It soon became obvious to me that Raynsford must still have interests within the construction industry as this is the only explanation of his rudeness. I later discovered that, according to The Sunday Times (29 March 2010), Raynsford is reportedly paid £9,000 per month from “jobs in industries connected to his ministerial career.” (Construction Minister) A final act of unprofessionalism, was to introduce the committee to us just before the meeting closed, something which would have been useful at the outset, but even this common meeting etiquette appears beyond Government. The CIC website page for this APPG Inquiry states: “The Commission of Inquiry will examine written submissions and will set up roundtable sessions, at which oral evidence will be presented to the Commission directly. It is hoped that these will give an opportunity for a candid and open discussion, exploring alternative viewpoints and leading to a pragmatic consensus.” This was, most definitely, not my experience! Of concern is the presence of Stephen Stone CEO of Crest Nicholson on this committee – although he did not attend on the day I made my presentation. No doubt he is on this committee to lobby on behalf of his industry to ensure that what it wants is in (and left out of) the final report. I can only hope (and trust) that the report will be an honest ‘warts and all’ reflection of all the submissions and that the conclusions and recommendations are implemented at the very earliest opportunity, rather than the oft-quoted 2020. It should honestly confirm what every new homebuyer is already aware of, namely that UK new homes are very poor quality and housebuilder customer service needs a radical improvement from the current attitude of indifference and contempt. On a positive note, there was universal acceptance of my suggestion of a New Homes Ombudsman to give new homebuyers a means of fully independent redress. It was suggested that new homebuyers maybe reluctant to complain and make representations in the media or to the authorities. It would appear that buyers have a problem accepting they have made a poor decision and are concerned that they may devalue their property by telling the world about its defects – although in the recent Dispatches documentary, a few brave and determined new homebuyers did just that. It was also suggested that a proportion of the purchase price should be retained until such times as any defects have been rectified, as is the case with a normal commercial building contract. I started my first website and the crusade for better quality new homes when I learned of the tragic death of four-year-old Matthew Green, who needlessly died as a result of a defect in a Persimmon new home when a stone mantle piece fell on him. When I mentioned this, a gasp of shock could be heard from those actually listening to my presentation. British new homebuyers are sold a dream but many end up buying a nightmare. Quality is perceptive, but no one can argue or justify actual clear-cut defects. A total lack of loft insulation cannot be explained away. There is clearly a total lack of quality control within the housebuilding industry and certainly no desire to improve and build better quality new homes, only more homes, more profitably. Not even the death of a four-year old child has changed their attitude! The large Housebuilders don’t care because they don’t have to. Well don’t care should be made to care. Help to Buy should be immediately withdrawn from housebuilders with the worst quality and customer service record. Quality should consist of getting it right first time, on time, every time. Everything should be (where normally expected) straight, smooth, flat, level, square, vertical, free from damage and blemishes. Building a new home isn’t like brain surgery, when a lack of attention to detail results in a dead patient. Anything not 100% in a new home can and should be taken down and done again, until an acceptable standard is achieved. It is only constraints on time and a total lack of desire by housebuilders that prevent it. The only really acceptable tolerance is plus or minus zero – not those overly generous ‘get out of jail free’ guidelines in the often quoted: “A Consistent Approach to Finishes” in the NHBC Standards Chapter 1.2 See how housebuilders use the tolerances to justify poor quality new homes! Chris Cousins from the BRE was keen to have “voluntary codes in partnership with the house building industry.” I said it would not work as housebuilders currently do not even comply with the mandatory building regulations (for example no roof insulation!) so what hope is there that they will adhere to any new voluntary obligations. They already breach their own Consumer Code with apparent regularity and impunity. Maria Miller MP made the point that the housebuilders do not appear to be at all concerned about the quality of their product and the damage to their reputation caused by adverse publicity. I commented that they know that people will buy only once and that most people buy because of location, price and because schemes such as Help to Buy make buying a home possible. Buyers often disregard the builder’s poor reputation in the forlorn hope that history will not be repeated. Most new homes being sold to naïve first-time buyers who do not know the pitfalls and are easily taken in by the housebuilders’ skilful marketing. Maria Miller urged those unhappy with their new homes to write to their MP, pointing out she can only deal with her own constituents, despite being on this APPG Inquiry committee! If this is what government is about and how it works, it is failing and you can keep it! No wonder our country is in such an economic mess. (The national debt is increasing by £5,170 a second!) It is only when you see MPs in their own environment, that you appreciate just how out of touch and indifferent they are and how little they care about the “hard working” British public. Take a look at the “notes” taken from our two-hour meeting – hardly a true refection the points raised and this is the second attempt! However, I understand that a more detailed account of each meeting is being written and will be presented to the committee members when they meet in January to discuss the report. Housebuilders should be forced to wake up and smell the coffee. But like other big organisations such as the banks all but bringing the world economy to its knees, Tesco horsemeat “beef” burgers and VW emissions, this government will probably let the housebuilding industry carry on “self-regulating” without any new legislation to force better quality or protection for new homebuyers. It already feels like a lip-service inquiry, being operated as a facade to implement changes for which they have already drawn conclusion…but I am a cynical (but often right!) sod! George “we are the builders” Osborne – The new homes you are building are not up to scratch, 93% of new homes have defects! Your Government appears to be as indifferent to taking measures to improve the quality of UK new homes as your favourite charity, the housebuilders are! This issue isn’t going away anytime soon and neither am I! Oliver Colvile MP: Chair, Nick Raynsford and the Earl of Lytton: vice-chairmen. Lord Howie of Troon: Treasurer. The secretariat for the group is provided by Construction Industry Council, represented by the Chief Executive, Graham Watts OBE and Kamila Tomaszewska. (Conservative) Sir Tony Baldry, Paul Uppal, David Amess, Jane Ellison, Andrew Griffiths, Dr Phillip Lee, Jessica Lee, Penny Mordaunt, David Mowat and Laura Sandys. (Opposition) Lord Howie of Troon, David Wright, John Spellar, Clive Betts, Luciana Berger, Adrian Bailey, Ian Lucas, Jack Dromey, Nic Dakin, Nick Raynsford and Paul Farrelly, the Earl of Lytton, the Earl of Mar and Kellie. This entry was posted in New Homes, Snagging and Quality and tagged APPG Inquiry Into Quality of New Homes, customer care, house builders, new homes ombudsman, NHBC, quality, snagging, specification, standards. Bookmark the permalink.